Just want to commend your organization & especially your worker, George, on the upkeep of Louisville. We are impressed with its cleanliness & friendliness. The flowers that line the streets are beautiful. Good job George and the rest of your organization. This is our 1st visit and we hope to return. I wish to report that my wife and I had a very positive experience with three of your team yesterday while visiting downtown attractions. All three were positive, happy and seemed eager to be of assistance. It is obvious they enjoy what they are doing! I met George 2 weeks ago when I was making a sales call in downtown Louisville and noticed his attention to detail for keeping downtown clean. George and I spoke briefly, and I asked him if I could pass along a good word for his work to his boss. He handed me your business card. Not often enough do we see employees working to make things better in the public; however, George was happy, personable, friendly and courteous toward me. I thanked him for a job well done. I am grateful to see the work he was doing for the best impression for the downtown area. I have worked in the hospitality business 30+ years and want to express my gratitude to you and your team members. How wonderful it is to watch someone “care” about the impression he can make doing their job willingly as well as being a friendly to a visitor like me. 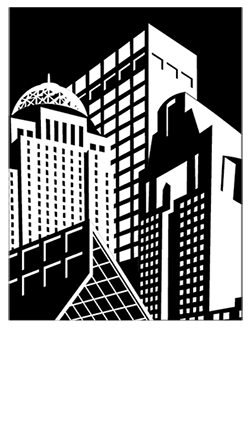 I would like to express my sincere gratitude for the Louisville Downtown Ambassador program. The hospitality of Louisville is one of a kind and the Ambassador program is definitely unique. My husband and I are both retired and do a lot of traveling. We were in Louisville last week and happened to be here during the events for Muhammad Ali. During our stay, we crossed paths with Mr. Nike a few times. Let me just tell you how great of a person you have for your company! We ran into Nike while he was removing some graffiti, and he approached us with a big smile and asked us how we were and what brought us to town. He gave us some recommendations on places to eat and some history about some of the city. The next day we saw him again, removing graffiti, and he called us out by our names and asked how the restaurant was he recommended. We asked him why he was removing graffiti and he told us he’s making Louisville a cleaner place, curious,we asked him how much he removed and he told us around 70 graffiti tags. We were both shocked and appreciated him for his hard work and dedication. You have a great worker in Nike; the charisma, kindness, and engagement he gives helped us enjoy our stay. Thank you all so much! Just ran into Ralph and George on 4th Street. They are doing a great job, welcoming and talking to visitors (and a native) in the city. Just wanted to drop you a note to say how much I appreciate the work your downtown Ambassadors do. I’ve worked in the West Main Street district for almost 7 years now and it’s always ship-shape. Plus, your ambassadors add a friendly vibe that can’t be beat. I got your mail from a gentleman named George, by the way. I stopped to thank him for being on the job a few days ago and asked how I could spread the love up the line. Keep up the good work! A big thank you for keeping the streets clean in Louisville, I’m visiting from California and very impressed with how clean the streets are and how friendly everyone is, and a shout out to George. He is a great ambassador for the city. This is a thank you to your ambassadors for returning our Gallapalooza horse to its place in front of the Leadership Louisville Center offices on West Main Street. Last night, someone moved "Louie" across the street to a location in front of the Kentucky Science Center. A security guard noticed Louie there about 4:00 a.m. I called your office this afternoon and spoke with Monique. Before I knew it, the ambassadors had moved Louie across Main Street and stopped in the office to let me know. Louie is quite popular with visitors to this area of West Main Street and is photographed on a daily basis - particularly this time of year - so we’re glad to have him back. So a big thanks to your team - we really appreciate their assistance and presence in downtown Louisville! I normally do not answer calls to my cell phone that I don’t recognize, but I am very glad I did today on my lunch break. I work in the Meidinger tower on the corner of 4th St. and Muhammad Ali. I was having lunch at the Sports and Social Club when I received the call from this unknown number. When I answered, a gentleman who introduced himself as Adrian calling from the Downtown Ambassadors and he stated he was at the Family Allergy and Asthma Center downtown and asked for my wife Danielle. Confused I said that I was her husband and asked if there was anything I might be able to help with. He then proceeded to tell me that a set of keys had been turned into the Downtown Partnership and that the only identifiable item on the key ring was my sons shot record for the Asthma center and that it pulled up my wife’s name and cell number he was calling. I began checking my pockets for the keys I was sure I had with me, only to discover that I didn’t have the keys I had arrived downtown with this morning. I asked Adrian if I could meet him somewhere to get the keys and told him where I was, he said he was just a few blocks away and would meet me at S&SC to get my keys to me. Now as I mentioned I work at 4th street live but I park way down 3rd street across from the porter paints and the only thing I can think is that I was running across Broadway on my way in this morning and the keys must have fallen out of my pocket. Adrian said that someone had turned the keys in and he was the one who thought to go to the Asthma office downtown here to try to find who they belonged to. I can’t express how thankful I am that he went above and beyond what was expected of him to locate me. Had I gone the rest of the day not realizing I had lost my keys it would have caused a lot of stress for me and my family. The key for our car alone to be re-cut is $450.00 I feel that he deserves to be recognized in some way for his efforts if not given a raise or promotion as he clearly deserves it. I don’t know many people who would have gone to the length he did to locate me but as I’ve said already I am so very glad he did. Keep up the great work down there at the Downtown Partnership. It’s nice to see you guys around down here and know if we need help there is someone there who cares. Mr. Adrian Hill thank you again for getting those keys to me, Sir! I’ll never forget it! I wanted to notify you about the tremendous job Ambassador Adrian Hill is doing daily. Adrian is always delivering the Louisville Maps, assisting with hotel guests with a pleasant attitude, smiling face, giving directions, and ready for any & all tasks. I noticed he was coming in twice as much and at times, sometimes three times as much. I asked him, "Why?" Adrian notified, "One of our ambassadors is gone and another one is sick." I told him. "If you’re doing twice the work, you need to make twice the pay." He is exceptional and lifts my spirit every time I see him. I believe he deserves a raise. Adrian is an asset to your company and will make an excellent supervisor. Thank you for giving us your Best only. Have a great week. I just wanted to thank Nike S. again for assisting me with navigation back to my hotel room. I ended up pretty lost trying to find my way back to the downtown Marriott. He appeared at just the right time and was very gracious, professional and courteous. I as very impressed with the service provided to downtown walkers who may find themselves in similar situation. I think I feel a little more confident now navigation the streets of Louisville thanks to Nike. Yours from Omaha, Joan E.
On Thursday, 2-23-17, Mr. Sites found my wallet in the vicinity of Sixth & Jefferson. He went above and beyond what I would have expected. He called Kroger's and Chase Visa, and was able to get my home phone number, and after I got off work agreed to meet me @ 10:00PM to return my wallet, which contained everything still on it. He showed great initiative. It was outstanding to meet Mr. Stites. His honesty and concern for me was touching. Please let him know I sent this message.